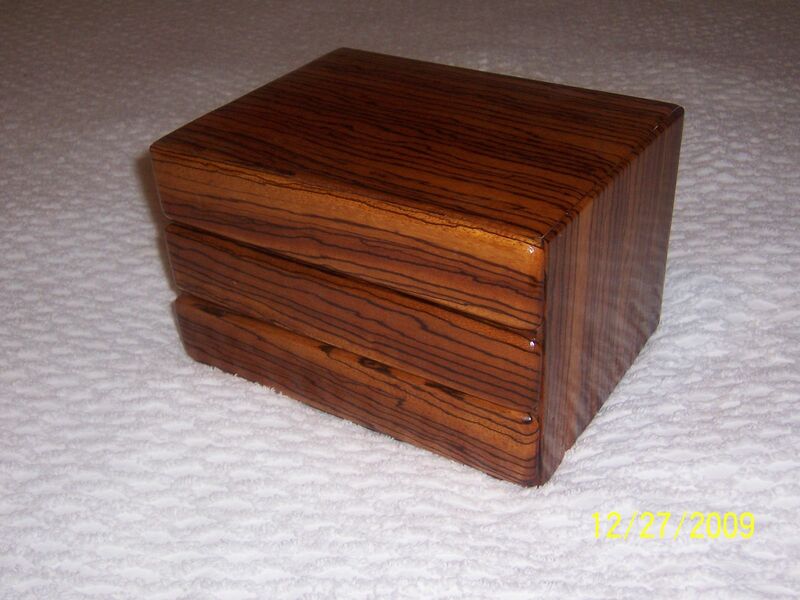 This jewelry box is made of zebra wood an has three drawers. The top drawer is provided with a ring pad. It is finished in several coats of clear gloss poly. The jewelry boxes I make are at the request of the customer.